Stay Up to Date on the latest news & events and recieve special member-only benefits! We Smoke 'Em Fresh Each Day! While Supplies Last. For 6 or more racks in one order, please call ahead. 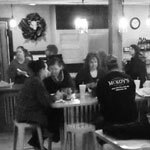 2 Sandwiches, 2 Sides & 2 Sodas for $20! 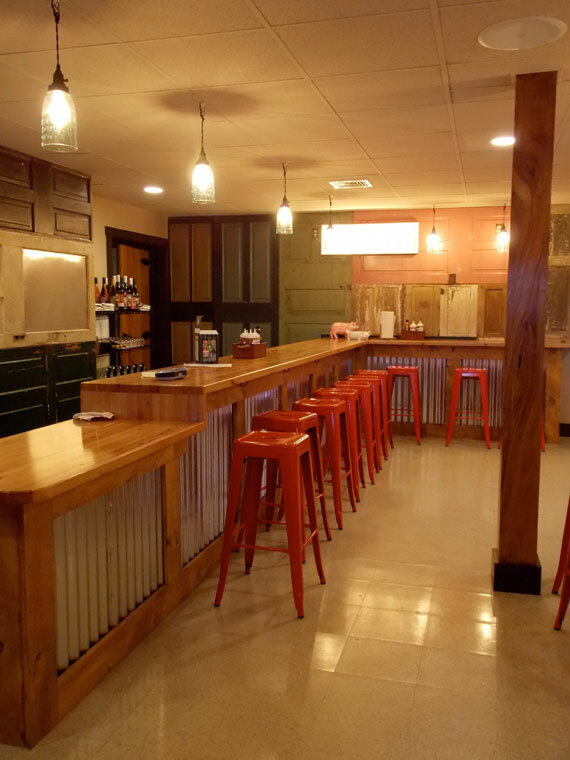 Enjoy two pounds of pork, six rolls & your choice of a pint of one side or three small sides for $20! Please Note: The Meal Deal is only available to-go. 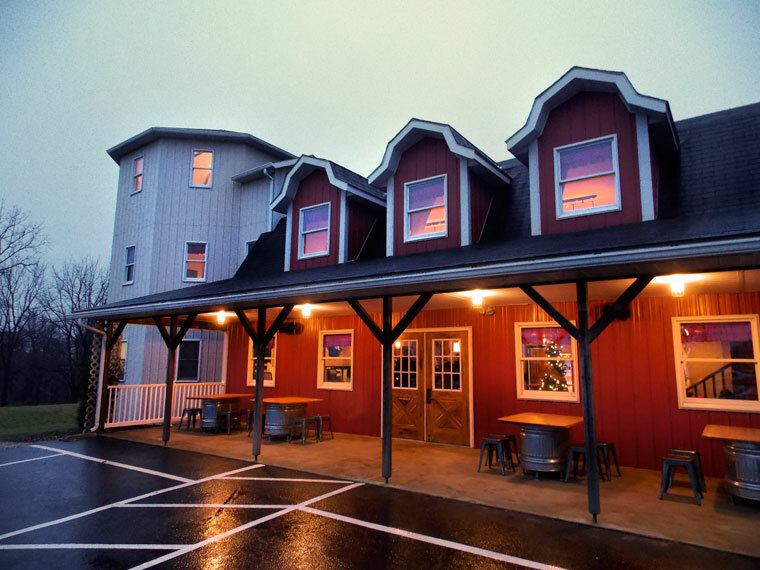 Enjoy any of our Lancaster County Ciders or Swashbuckler Brewing Co. Beers on-draft during your meal, then mix and match your own six-pack to enjoy at home! Please see in-store for all available varieties and pricing! Styles are seasonal and subject to availability. 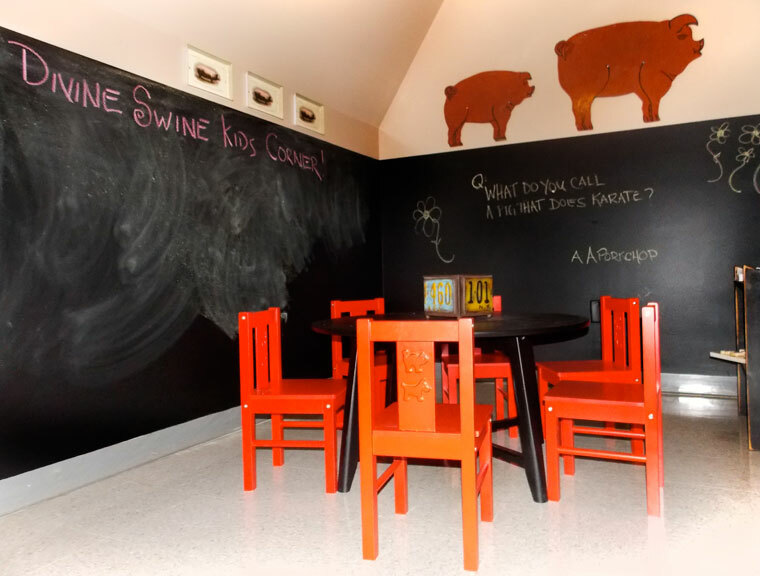 Celebrate your special events and gatherings with Divine Swine! 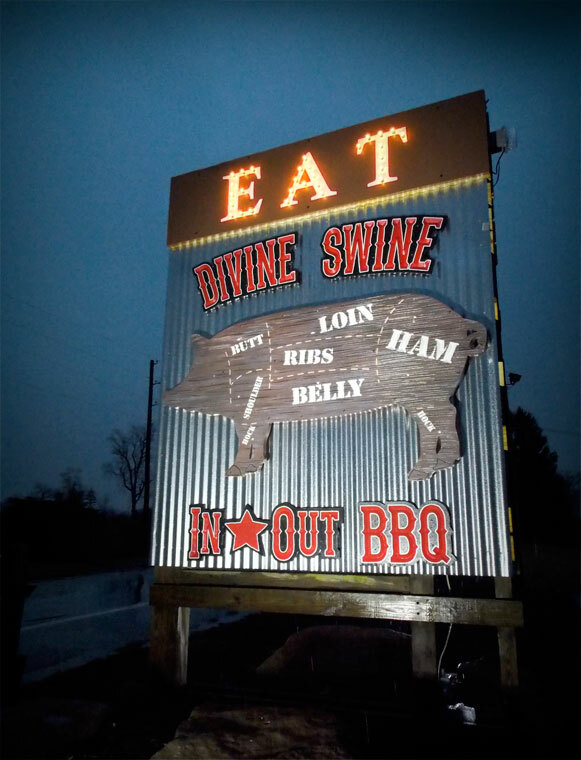 Divine Swine Take-Out Bulk Menu allows you to bring Authentic BBQ and Southern Sides to your events and gatherings! Heat and Serve or Pick-Up Ready, there's a number of options available! Please allow a 24 hour notice for all bulk menu orders. Click Here to view the full take-out menu or visit the Contact Section to order your items today! Passionate about BBQ? Want a sizzling hot career? 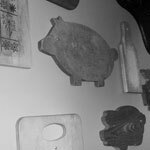 You could be the key ingredient to the Divine Swine Team! 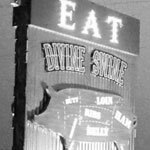 Divine Swine is seeking enthusiastic and hard-working Cashiers and Bussers who genuinely love great food, great service and being a part of a fun and unique team. To apply, please download and complete the employment application. A large serving of piping-hot, hand-cut and crispy french fries. Enjoy with a light sprinkling of our seasoned salt! Destined to be together with one of our specialty sandwiches. The delicious marriage of piping-hot, hand-cut french fries, signature smoked beef brisket, cheese curds and light brown beer gravy. You'll be coming back for more! 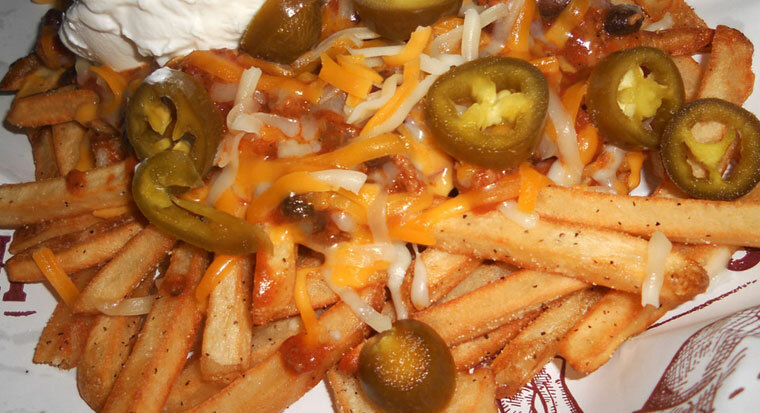 Our delicious hand-cut french fries smothered in hearty chili. Topped with Fritos, cheddar & jack cheeses, sour cream and jalapenos to create a tried-and-true masterpiece. 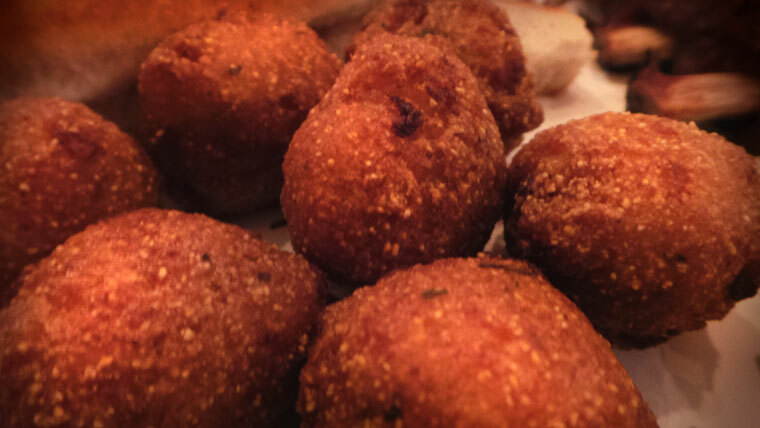 Thirteen hush puppies are sure to start your meal off right! Crunchy on the outside and tender on the inside, these savory cornmeal hush puppies have been fried until crispy golden brown. 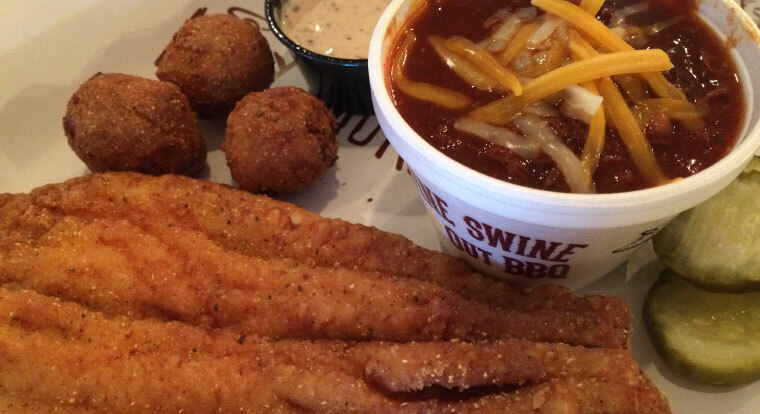 Enjoy this southern staple with our signature Divine Swine hush puppies dipping sauces! St. Louis-style ribs rubbed with our house spices and smoked for hours. 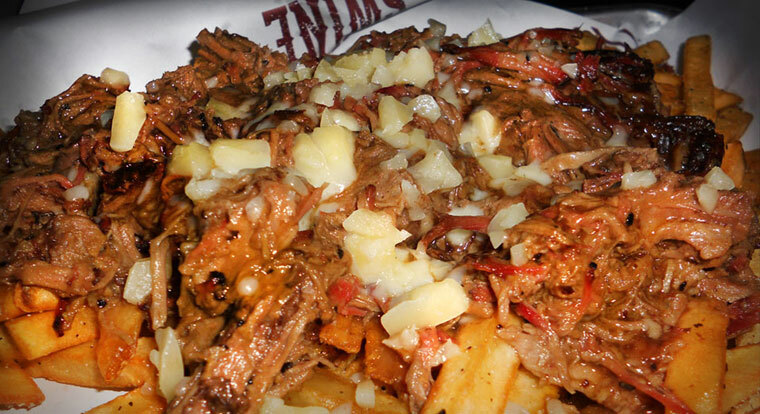 The chefs at Divine Swine have perfected their hearty chili—slow cooked with beef, pork and onions! 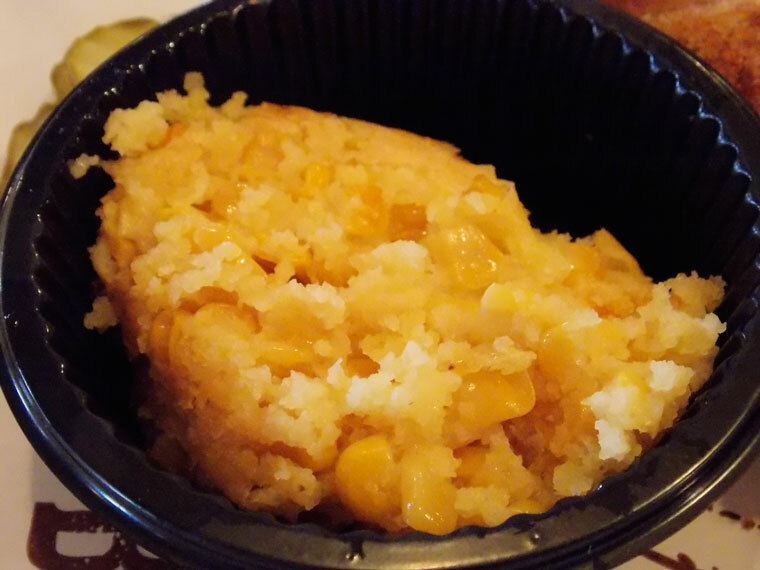 Topped with sour cream and cheddar and served with corn pudding. Guaranteed to satisfy and warm the soul! Hot and crispy, fresh fried catfish, served on a Brioche Roll with a Divine side of your choice. Every Friday (March 8 through April 19), but while supplies last to ensure the freshness! Slow-cooked until fork-tender and flavorful, then shredded and piled high on a Brioche Roll and served with butter pickle chips and one side. 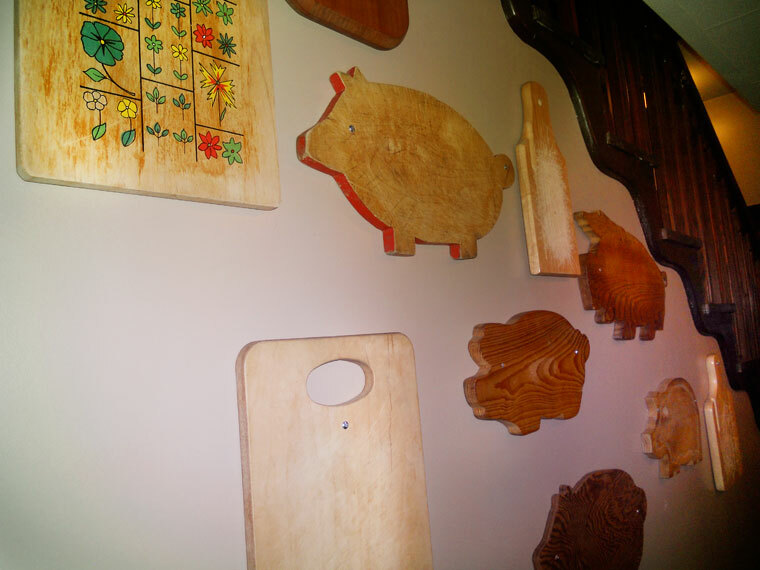 Top it with any of our Divine Swine Sauces for a true Southern experience! 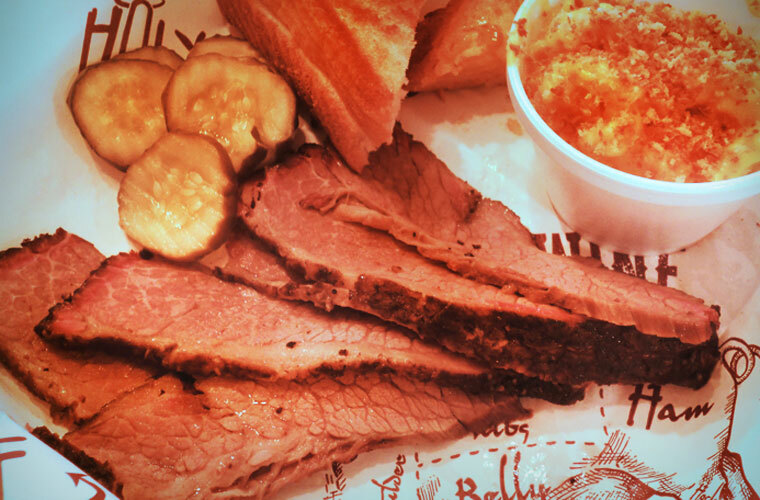 Some of the best brisket you'll find: Low-and-slow beef brisket smoked all day, hand sliced and served with Brioche Roll, butter pickle chips and one side. Tender perfection. This chicken sandwich rules the roost! Perfectly smoked chicken and melted cheddar topped with melted cheddar, lettuce and tomatoes, and served on a fresh Brioche Roll, with butter pickle chips and one side makes a mouthwatering meal you're sure to fall in love with with every bite! Pulled chicken also available—please ask when placing order. The bun will just barely survive under the weight of the rich, smokey sliced brisket and hot links! Topped with cole slaw and butter pickles for an added crunch and served wtih Brioche Roll, butter pickle chips and one side. A mound of slow-cooked pulled pork stuffed between two slices of Texas Toast with creamy Mac & Cheese and melted sharp cheddar cheese. Grilled until melty and golden brown and served with butter pickle chips and one side. 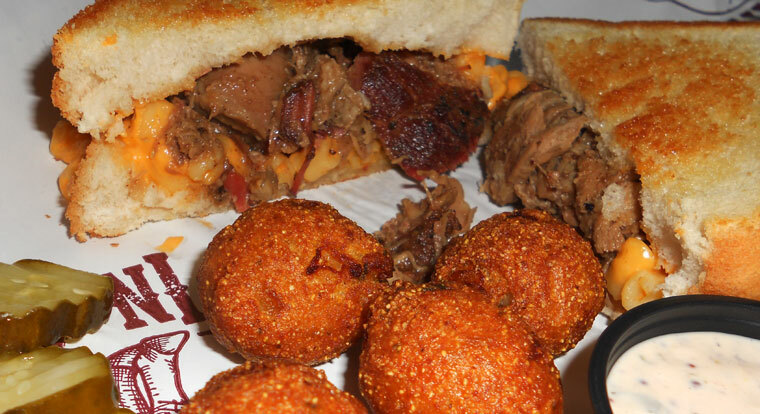 Sliced, tender, slow-smoked brisket stuffed between two slices of Texas Toast with creamy Mac & Cheese and melted sharp cheddar cheese. Grilled until melty and golden brown and served with butter pickle chips and one side. 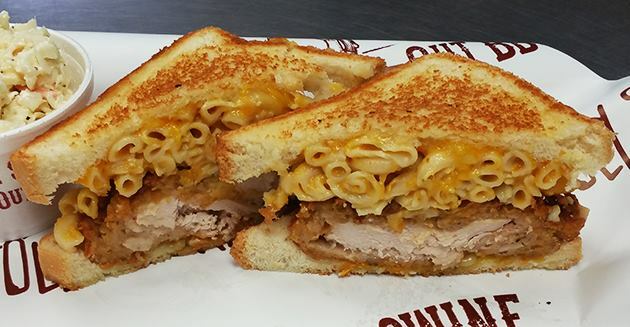 Juicy chicken, smoked to perfection stuffed between two slices of Texas Toast and topped with creamy Mac & Cheese and melted sharp cheddar cheese. Grilled until melty and golden brown and served with butter pickle chips and one side. Pulled chicken also available—plaese ask when placing order. Hot and crispy, fresh fried catfish, served with six gold brown hughpuppies and a Divine side of your choice. Every Friday (March 8 through April 19), but while supplies last to ensure the freshness! St. Louis-style ribs rubbed with our house spices, smoked for hours. Served with texas toast, butter pickles and two sides. 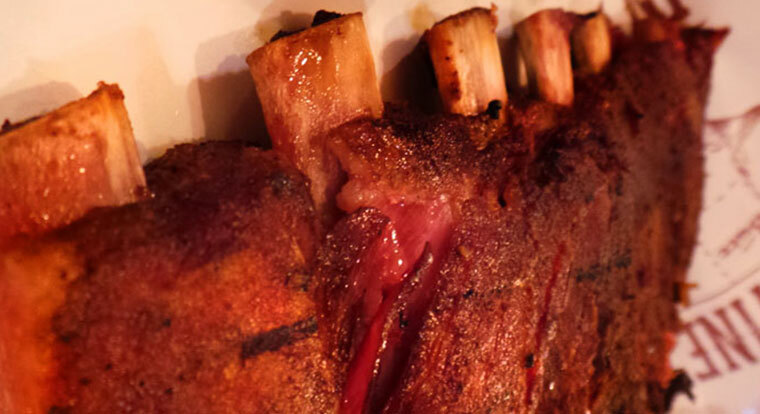 Available in half or full rack. Slow-smoked chicken with an authentic gold ale flavor. Served with texas toast, butter pickles and two sides. What's better than delicious fall off the bone ribs? That's easy; delicious fall off the bone ribs and a piece of perfectly seasoned smoked chicken. Served with texas toast, butter pickles and two sides. Our spicy Cajun sausage is made with premium pork and seasoned with authentic cajun spices and cayenne pepper for a spicy kick. Served with texas toast, butter pickles and two sides. 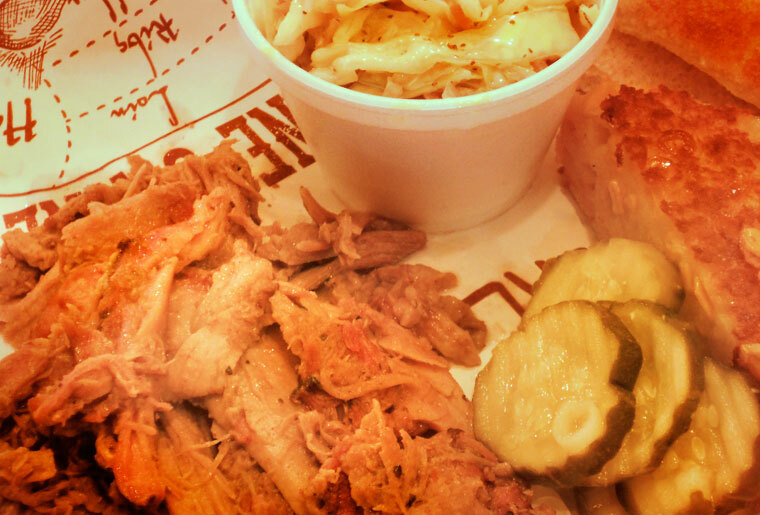 Tender, slow-smoked, hand-pulled pork piled high and served on top of texas toast with butter pickles and two sides. Enjoy with your choice of Divine Swine sauces. 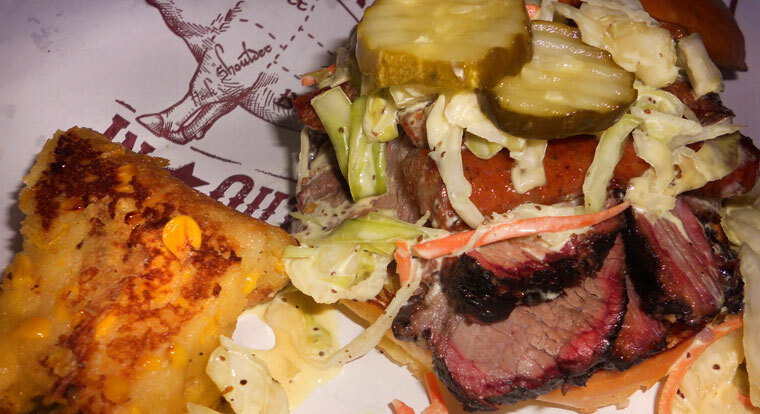 We're sure our sliced, tender, slow-smoked brisket will stack up to anything you'll find in Texas. Served with texas toast, butter pickles and two sides. Enjoy with your choice of Divine Swine sauces. 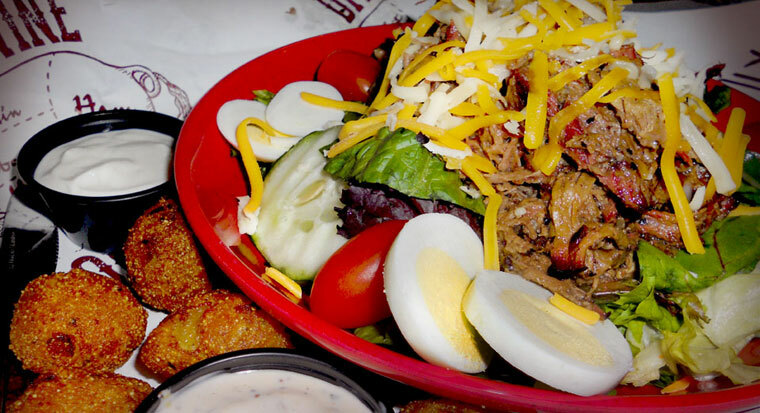 Elevate yourself to a whole new level with this heaping sampler plate of pulled pork, brisket and Cajun sausage. Served with texas toast, butter pickles and two sides. 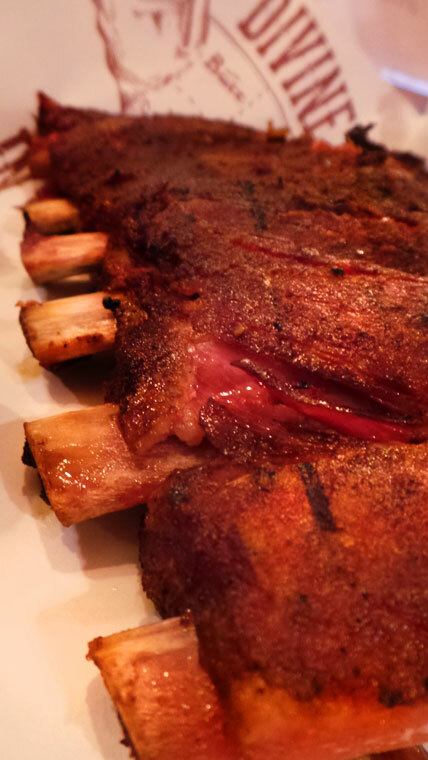 **Add 1/2 Rack of St. Louis-Style Ribs to any Entree for $10. A bed of spring lettuces topped with tomatoes, carrots, cucumbers, chopped egg and cheddar & jack cheeses. Your choice of Ranch, Bleu Cheese, Balsamic Vinaigrette, or Thousand Island. Sliced slow-smoked chicken atop a bed of spring lettuces with tomatoes, carrots, cucumbers, chopped egg and cheddar & jack cheeses. Your choice of Ranch, Bleu Cheese, Balsamic Vinaigrette, or Thousand Island. Sliced brisket and fries on top of a bed of spring lettuces with tomatoes, carrots, chopped egg and cheddar & jack cheeses. Your choice of Ranch, Bleu Cheese, Balsamic Vinaigrette, or Thousand Island. Sweet, tender corn baked in a thick, custard-like sauce. This savory classic Southern comfort food is caramelized on the top and bottom, giving the outside a wonderful bite that leads into the creaminess beneath. A serving of piping-hot, hand-cut and crispy french fries. Enjoy with a light sprinkling of our seasoned salt! Destined to be together with one of our specialty sandwiches. Tender elbow macaroni covered in a creamy cheddar cheese sauce. Loved by kids and grown-ups alike! Slow-cooked with the finest ingredients, this hearty serving of baked beans will serve up delicious homemade flavors, every time. 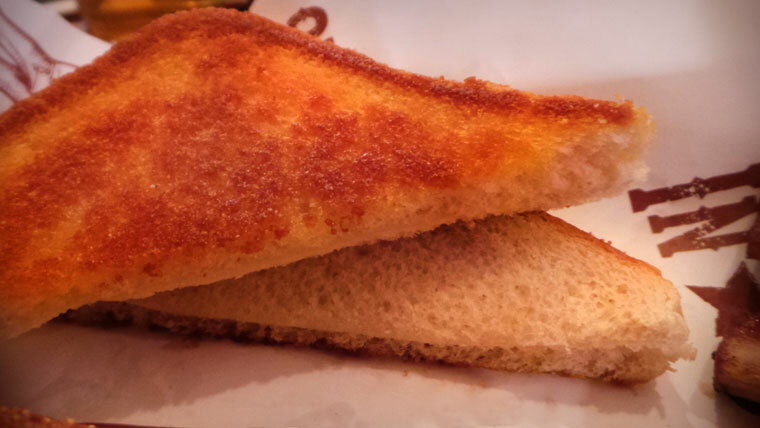 Sliced at double the thickness of most sliced breads, our Texas Toast is slathered with butter on both sides and grilled until lightly golden brown, then sprinkled with Divine Swine spices. Crunchy on the outside and tender on the inside, these savory cornmeal hush puppies have been fried until crispy gold brown. Enjoy this southern staple with our signature Divine Swine hush puppies dipping sauces! This side order includes six pieces. Freshly prepared in store with cabbage, carrots, just a bit of onions and our signature dressing. Hearty Chili, slow cooked with beef, poblanos, jalapeñ and onions! Topped with sour cream and cheddar. Our signature Divine Swine Kansas City BBQ Sauce is a thick, reddish-brown sweet sauce with a touch of heat to give it a little kick. Tomato-based with sugar, vinegar and spices. 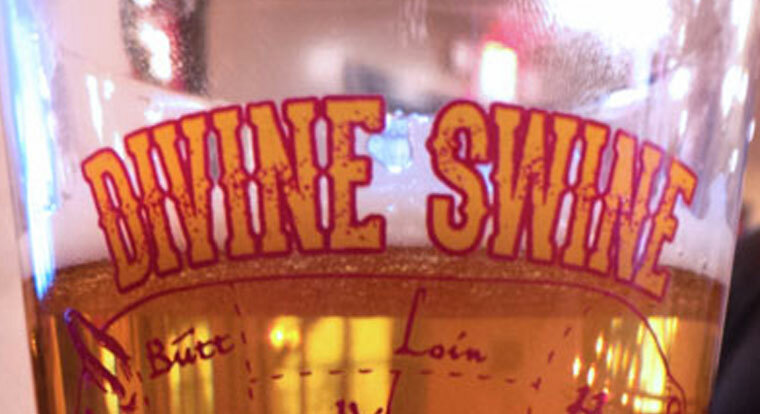 Add a savory, tart flavor to your meal with the Divine Swine Mustard Sauce! Yellow mustard-based with sugar, vinegar and spices. Enjoy the rich, tangy flavor of the Divine Swine Carolina-Style Vinegar BBQ Sauce. Give your meal a little punch with this rich, slightly smokey Spicy Bourbon BBQ sauce! Complete any meal with your choice of a fountain or bottled beverage. 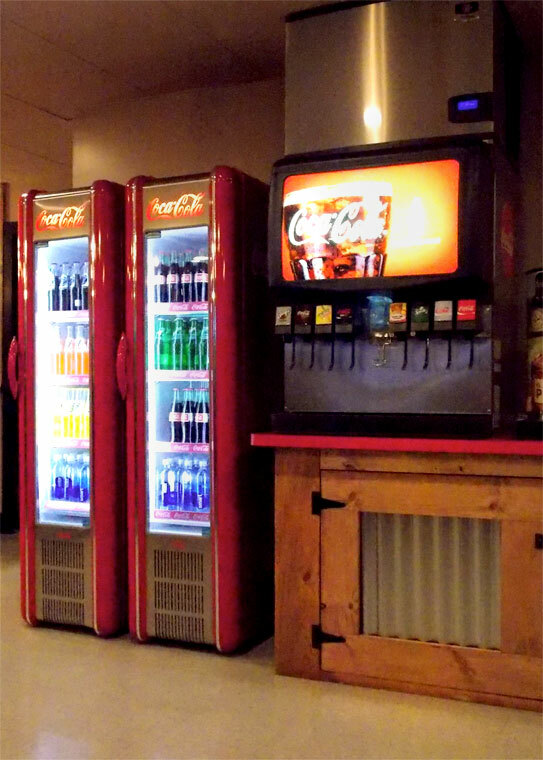 Refreshing Coca-Cola products, delicious Gold Peak Teas or ice-cold water is sure to please! 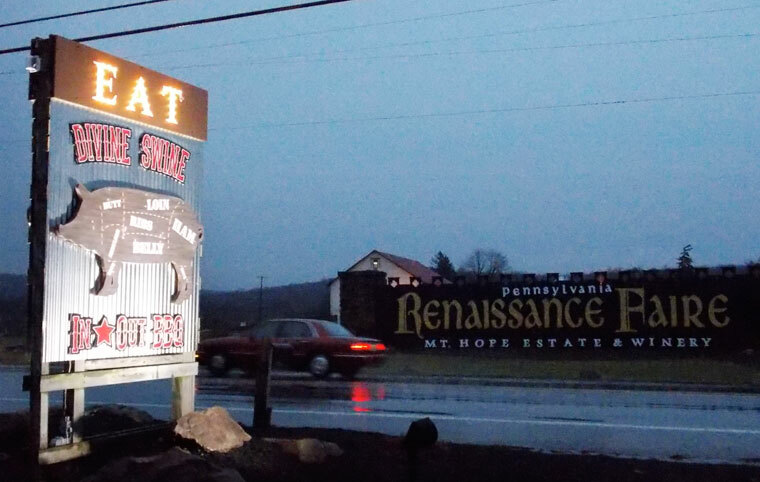 Mount Hope Winery is proud to offer some of their most popular premium wines at the Divine Swine! 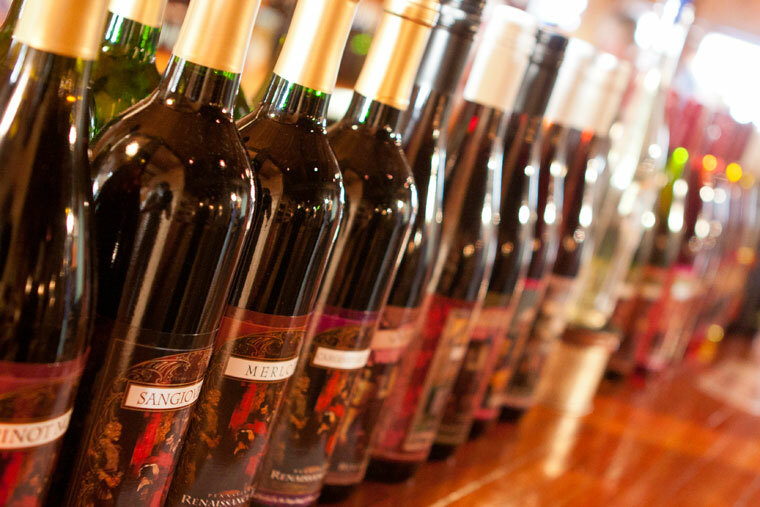 Enjoy a glass of Chardonnay, Honey Mead, Pink Catawba, Moonlight Encounter, Sangria, or Margarita Wine! 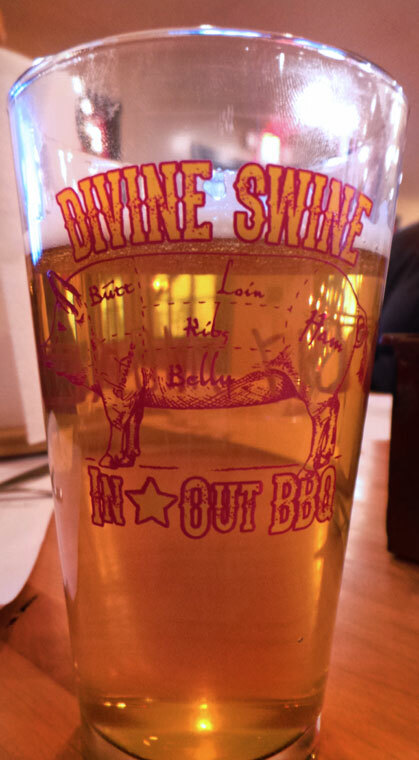 Divine Swine strives to bring guests a unique beer experience, every time. Because of this, our beer selection is ever-changing. 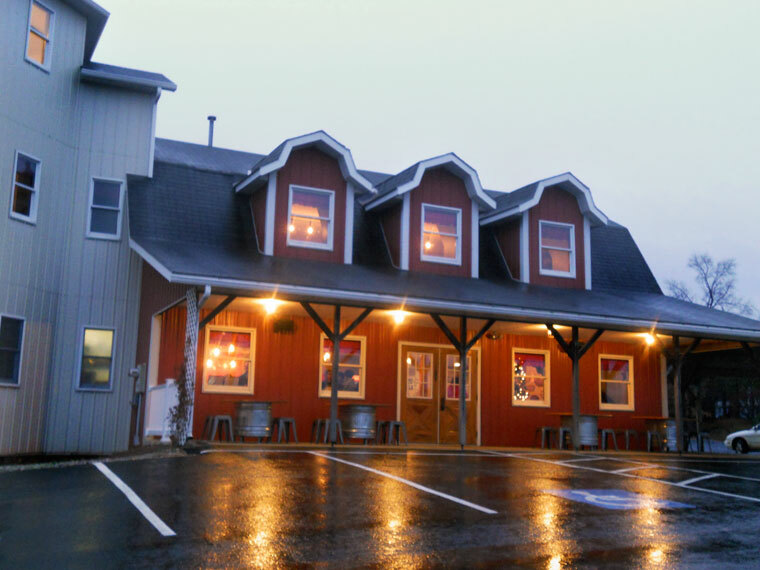 Enjoy a variety of Swashbuckler Brewing Co. flagship and seasonal beers (brewed right across the street • learn more at SwashbucklerBrewing.com) and be sure to check back often for updates. Please call for current tap list. Fresh, natural ingredients are used to make the creamiest banana pudding you've ever tasted! Vanilla custard layered with sliced bananas and vanilla wafer cookies and topped with whipped cream and meringue. This unique dessert featured the flavors of an Old Fashioned cocktail. 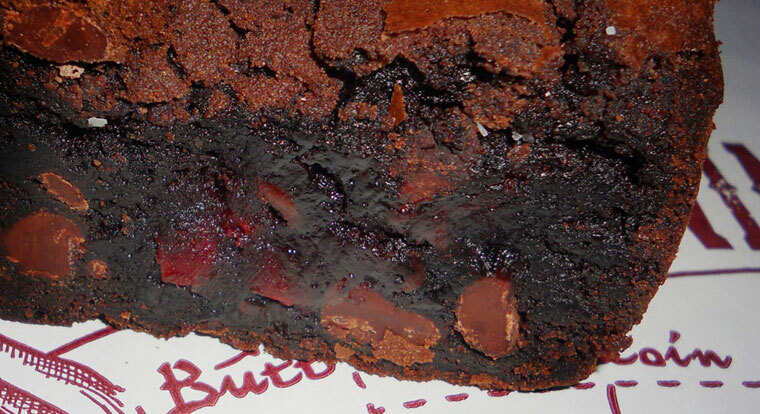 Fresh, deep red cherries soaked in bourbon and mixed with dark, bitter chocolate and slowly heated side by side in a fudge-y brownie batter. 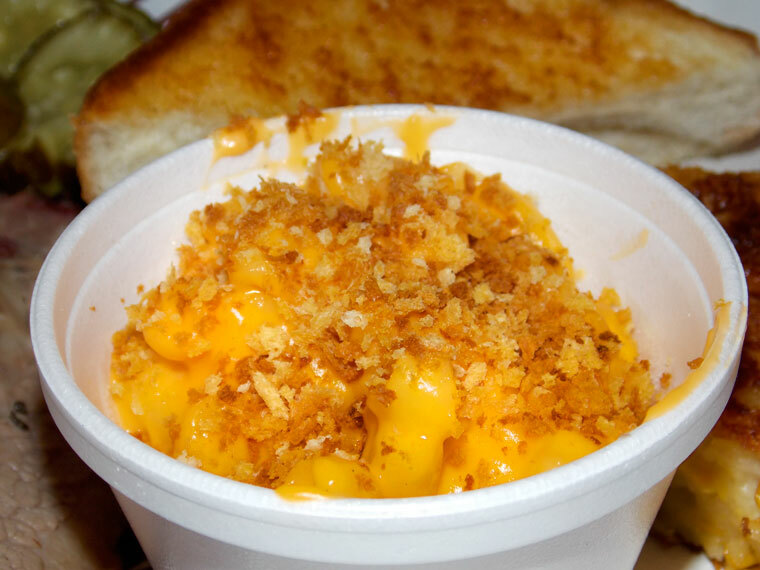 Traditional Mac & Cheese—Tender elbow macaroni covered in a creamy cheddar cheese sauce. Served with apple sauce and a kids beverage. Classic comfort food, done up right—Cheddar cheesy sandwich served with fries, apple sauce and a kids beverage. A delicious beefy hot dog served with fries, apple sauce and a kids beverage. 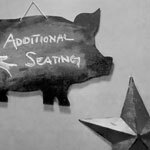 Divine Swine Take-Out Picnic Menu • Heat and Serve or Pick-Up Ready • Orders for the Picnic Menu must be received before Closed of Business the previous day for pick-up after noon the following day. Any orders over $100 must be pre-paid. Cancellation with a full refund must be received with 24 hours advance notice. Delivery available for orders over $150. (Free within 10 mile radius of the Divine Swine. 10-20 miles - $25 fee). 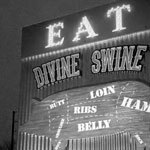 Enjoy the unique atmosphere of the Divine Swine! We answer some of your most pressing questions! 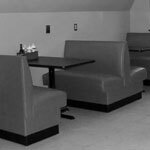 We operate on a "first come, first served" basis. 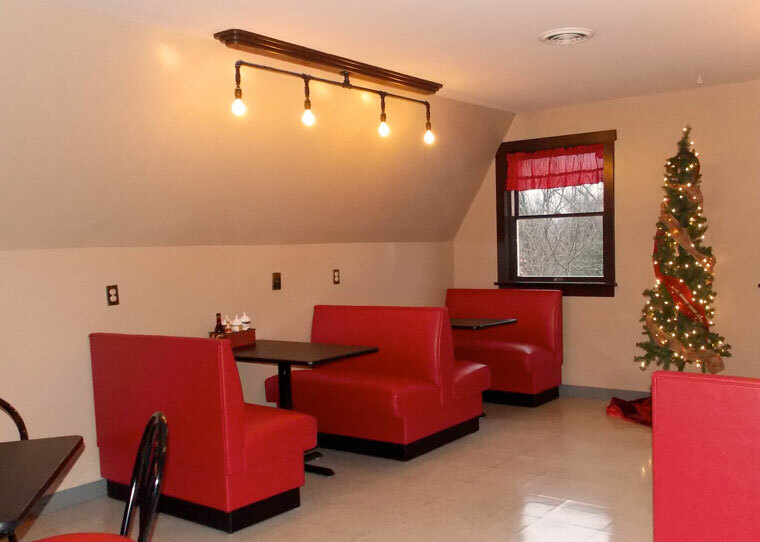 However, if you have a group of 15 or more, please call ahead to 717-879-9494 and we will be sure to have space on the second floor available for your group. 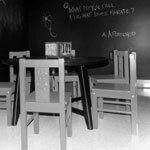 Can you accommodate private parties? 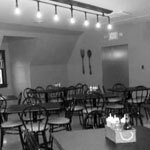 We can accommodate and cater for parties of up to 60 people at the Anchor & Mermaid Tavern on the grounds of Mount Hope Estate & Winery, just across the street from the Divine Swine. 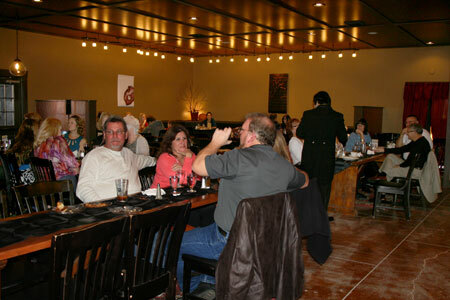 Please call 717-879-9494 to book your Divine Party. Is the meat undercooked? Why is it pink? Food service safety 101 says “never serve underdone meats”. Our meat is fully cooked. The pink coloration is called a “smoke ring”, because smoking is our game. The smoke ring is one of the most sought-after assets of smoked meats and indicates smoking the meat ‘low and slow’. Pink is not bad. Repeat pink is not bad. Pink means delicious taste and texture. Not burnt…it’s bark! The yummy crust that forms on the outside of the smoked meats and is very dark in color! 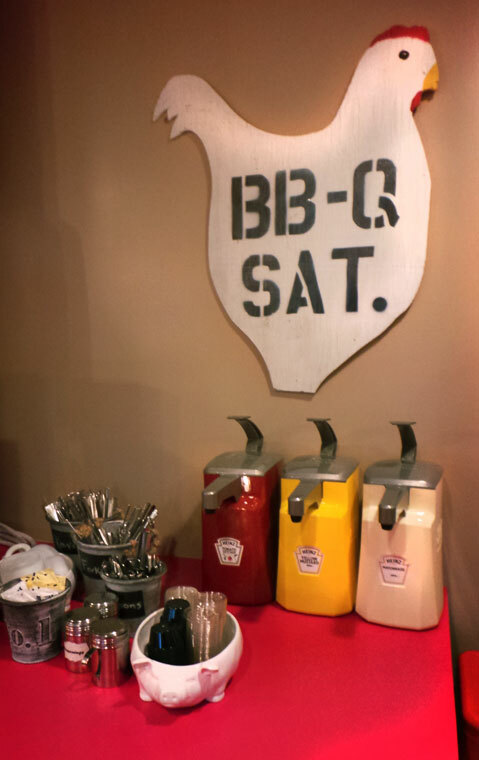 While the sauce is boss, we don’t serve our BBQ meats smothered in what we want you to like. 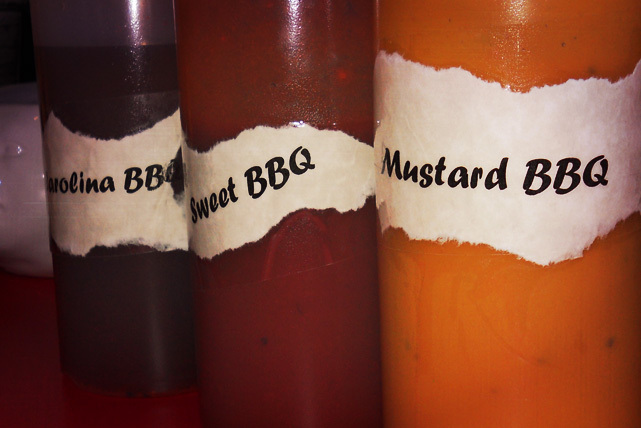 We take a more naked approach and let you decide which of our homemade sauces and how much you want to dress your BBQ in. 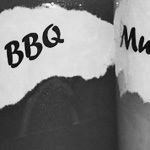 Picnic Menu orders will receive ½ pint of the sauce of your choice per pound of meat. Everyone wants to know the secret to Divine BBQ. 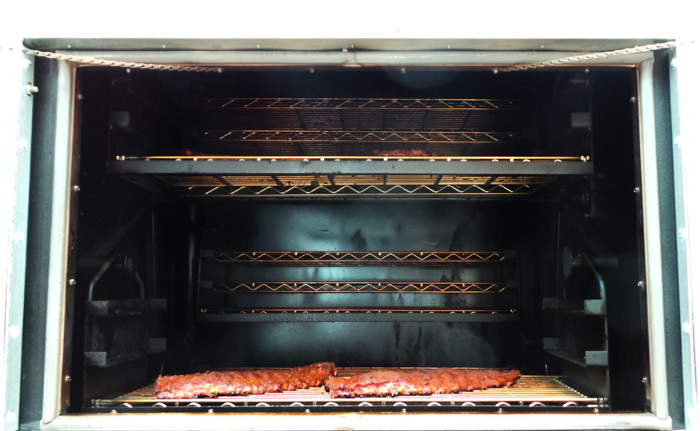 The meats are prepared in an Ole Hickory Smoker and smoked at temperatures of 250° or below with indirect heat using apple and hickory woods. We do it "low and slow" for about 10-12 hours. So, if you’d like to join us at 2:00 AM, you can see the magic for yourself! Do you ever run out of BBQ? 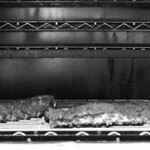 While we can cook upwards of 250 pounds of pork, brisket, chicken and ribs, in true BBQ tradition, the meat is smoked daily and when it’s gone, it’s gone. 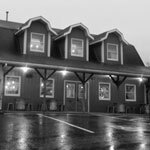 Why would we ever serve someone bad BBQ when our pit master will be up and at it again at 2:00AM the next morn? 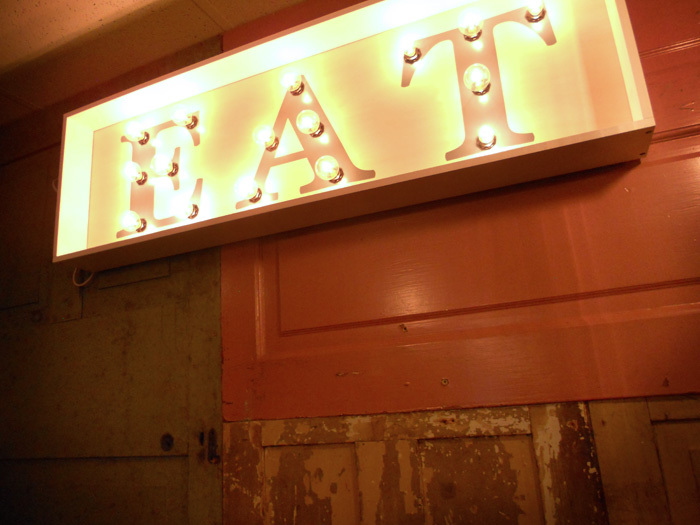 We open at 11AM, so set your alarm to get your BBQ! Is there something wrong with my order? We can only know if you come on back to the counter and let us know. You won’t hurt our feelings, but you WILL give us a chance to make it right without having to find out about a problem on social media. I've got special dietary needs. What's here for me? 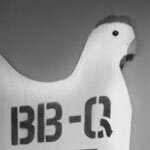 Everyone should have the chance to enjoy good BBQ, especially those who struggle to find culinary contentment elsewhere. 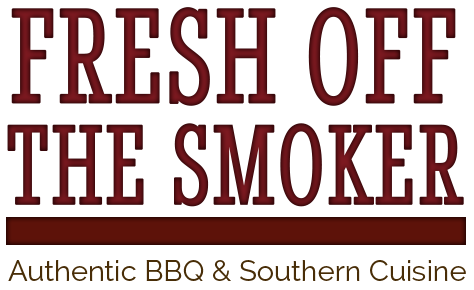 Gluten Free:Our smoked meats, (excluding the chicken which is brined in beer), house-made baked beans, chili, cole slaw and sauces. Gluten free rolls available upon request at an additional cost. Please note: all items are prepared in a kitchen that stores and uses other gluten products. Bell Pepper Allergy: We use cayenne pepper in some rubs. Bell peppers are used in our chili, but we do not use bell peppers in our sauces. What kind of beer do you serve? 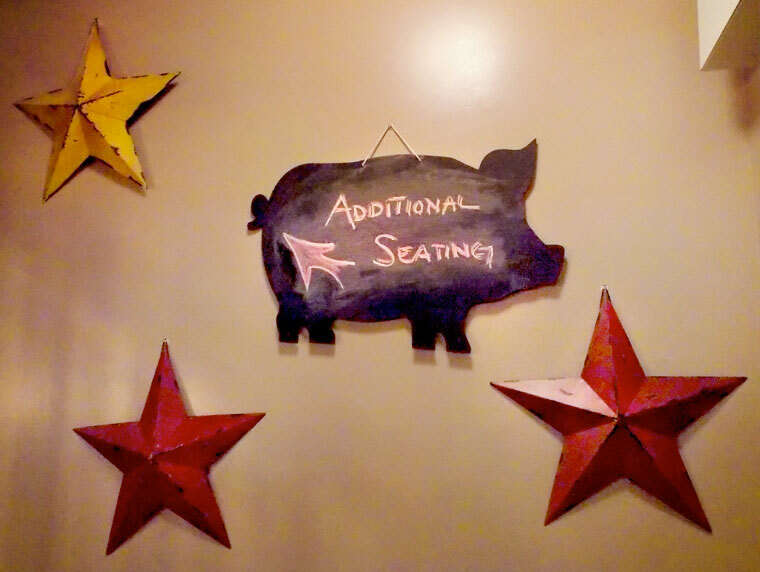 Please Note: Divine Swine operates on a "first come, first served" basis. 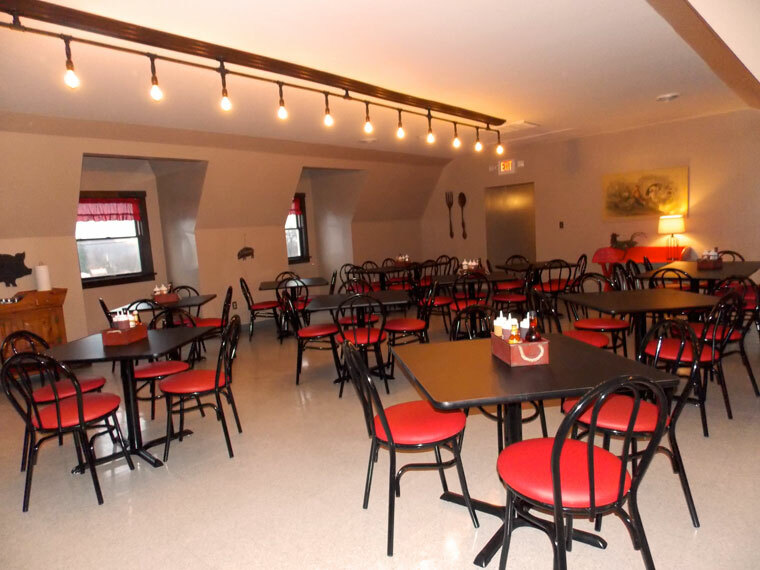 However, if you have a group of 15 or more, please call ahead and we will be sure to have space on the second floor available for your group. Click here to fill out the form on the Company's Donation Request Page! 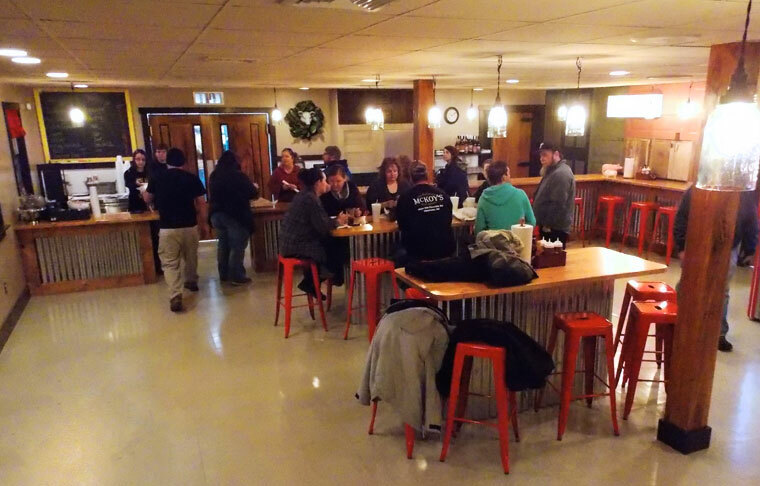 Swashbuckler Brewing Company, Rumspringa Brewing Company and Divine Swine Brewing Company are in production at their physical locations. 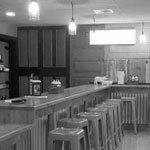 However, due to the volume required to satisfy the demands at Swashbuckler Brewing Company, Rumspringa Brewing Company and Divine Swine Brewing Company, SBC Brewsmith produces products for these commonly controlled breweries. Pennsylvania Code Subchapter J. MALT OR BREWED BEVERAGE MANUFACTURERS. Section 3.92. 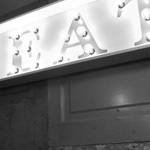 Brewery pubs. (d) Sales of alcoholic beverages at the brewery pub premises shall be limited to sales of malt or brewed beverages produced at and owned by the brewery adjacent to it or a brewery which is under common control with the brewery pub. 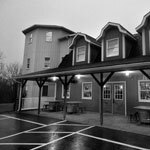 A brewery pub licensee may sell, for on-premises consumption, wine manufactured by the holder of a Pennsylvania limited winery license.